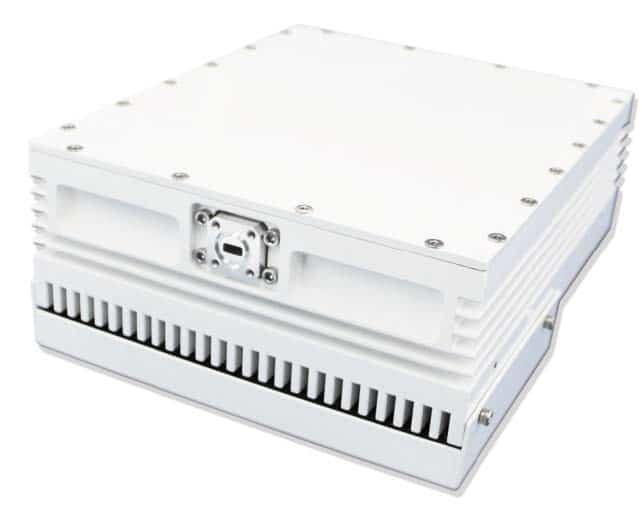 Intended for outdoor operation provides higher output power in a compact package. Signal up conversion from a Modem’s L band output into Ka band frequency in order to perform a terrestrial or satellite communication link. Wide range of output powers available, from 5 Watts up to 120 Watts. Based on proven reliable solid-state technology and high ef?ciency power supplies in order to provide the best performance. Remote M&C via serial port (RS485/Ethernet), including alarms related to temperature and local oscillator, power supply shutdown, adjustable gain and forward and reverse output power monitoring.